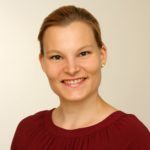 Lina Bosbach, Manager Group Communications Lina Bosbach is specialist for internal corporate communications at NORMA Group. Karolina Olszanska works on the shop floor at NORMA Group in the United Kingdom since 2010. She began as machine operator, but became a training officer and team leader during the last two years. She likes to work with people, to help them learn by sharing knowledge. In her spare time, she makes beautiful artworks like cosmetic mirrors, business card holders, clocks or even a whole chess game from clamps, clips and other NORMA Group products. How do you come up with such unusual ideas? I find inspiration everywhere. It just depends on how you look at things. My past studies at the University of Art and Design in Wrocław, Poland, are certainly helpful. 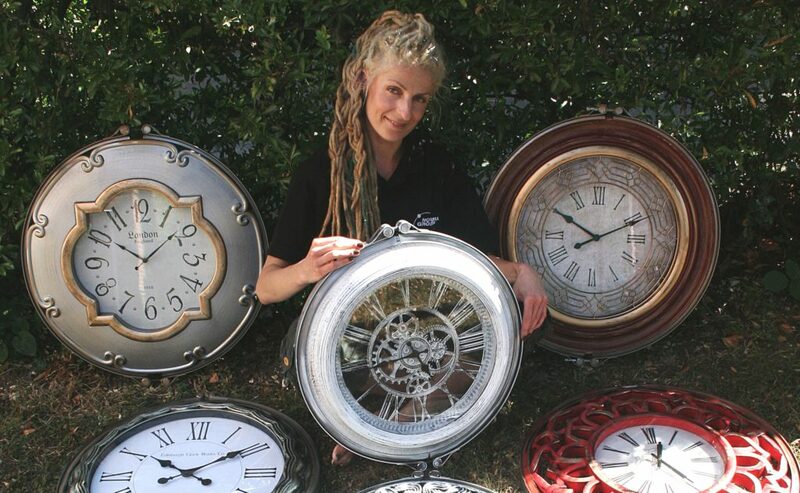 Karolina Olszanska with her clocks that she made from NORMA Group products. Which of your artworks is very dear to you? A chess game made of NORMA Group products. I worked without any sketching. This is my favorite piece. The time-consuming chess game was a longtime colleague’s retirement gift two years ago. So our colleagues inspire you over and over to new creations? That’s right. A colleague’s 20th anniversary of service, prompted my latest collection in summer 2016. Nine wall clocks in retro style. How did you produce the clocks? I have individually refurbished the used clocks. Each piece needed its own decoration and a special frame. By the way, the frame is made entirely of NORMA Group clamps. Do you tell us about your latest idea? Currently, I am considering clothes made of NORMA Group products. I won’t run out of ideas, that’s for sure. Larry Everhart designs special tools for metalworking by sketching designs, developing 3D computer models, processing components and monitoring their assembly. The 59-year-old’s evenings, however, are devoted to his passion. Working abroad for a couple of months, getting to know a new culture and gaining international work experience? This is all possible with NORMA Group’s Bubble Assignments. Our colleague Shan Zhang from China completed such a Bubble Assignment in Serbia. When he was a boy, Jorge Mares wanted to be a firefighter. Today, the 39-year-old works for NORMA Group in Mexico and makes sure that all products arrive on time for the customers. In the interview he tells us how his childhood dream is connected to his job today.